The Roxbury Arts Group is delighted to once again have the opportunity of collaborating with Brydcliff Performing Arts Organization, to bring to the Roxbury Arts Center stage “An Evening of Dance”. This year’s program includes Blakeley White-McGuire, Principal Dancer with the Martha Graham Dance Company, twin sisters Hsiao-Wei & Hsiao-Ting of InTW, and cellist Nan-Cheng Chen. 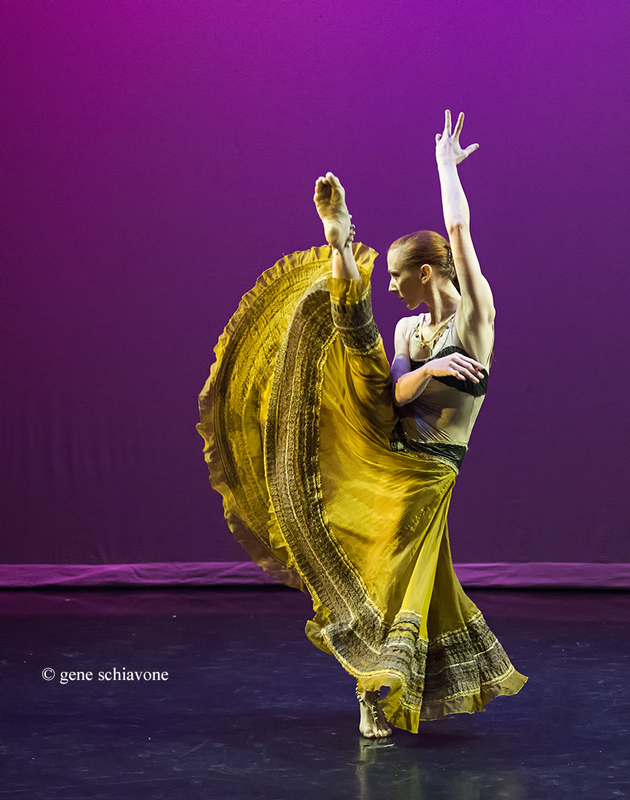 Blakeley White-McGuire, dancer, choreographer and educator, is currently Principal Dancer with the Martha Graham Dance Company in New York City. Her diverse repertory embodies the most iconic roles in American Modern Dance; most notably, Medea in Cave of the Heart, the Bride in Appalachian Spring and the Chosen One in Rite of Spring. Her repertory also includes works by Contemporary Dance Artists Maher Benham/Coyote Dancers, Jacqulyn Buglisi, Martha Clarke, Sean Curran, Janet Eilber, Daniel Ezralow, Larry Kegwin, Lar Lubovitch, Richard Move, Bulareyaung Pagarlava, Pascal Rioult, Robert Wilson, Anne Bogart SITI/Company and the Metropolitan Opera. This event also marks the return of the Artistic Directors for NY based company InTW, Hsiao-Wei and Hsiao-Ting. Hsiao-Wei and Hsiao-Ting are former students majoring in Medical Technology at the Taipei Medical University and Veterinary at the National Taiwan University in Taiwan who discovered their passion for dance which they pursued at LABAN (UK) and Martha Graham School (US). Their extensive and varied success began in 2008 at the Bonnie Bird Theatre in London where they presented their first piece, “Goldberg Fantasia”. In New York, the venues that have hosted their works include prominent festivals and showcase such as New Steps Series, 60X60 Dance, EFSD Show, Graham II Spring Season, WAXworks, Performing in New York Experience 2012, Passport to Taiwan, Queen Arts Express, NYC10 and Astoria Dance Festival. They held their first season in 2012, “City Impression Series No.1”, at Manhattan Movement & Arts Center in New York. Hsiao-Wei and Hsiao-Ting have also collaborate with artists and choreographers including Purring Tiger Dance Company, “MIZARU”, performed at the Tribeca Performing Arts Center; “Turn Around The Back” with artist Jia-Jen Lin at tamtamArt in Berlin, Germany; “InAction” with French portrait photographer Sylvain Guenot; and “Merge” Video/Interactive Art+Dance at the Triskelion Arts. Award-winning cellist Nan-Cheng Chen recently praised for his “Beautiful Tone” by New York Concert Reviews in 2011 is passionate about sharing music with music lovers. At only age of 25, Nan-Cheng became the executive director and founder of the New Asia Chamber Music Society (NACMS), a member of Sonic Escape, Chen Trio, Ensemble 101, and many other active music ensembles around the world. An active soloist, Nan-Cheng has collaborated with Simon Bolivar Orchestra, Queens Symphony Orchestra, Metro-West Symphony, Quincy Symphony and Symphony Pro Musica, which received a review that states: “It was the kind of performance one might hear live only once a decade”, from Worcester Telegram and Gazette. Press and media of Taiwan have also named Nan-Cheng Chen to be one of the most recognized Taiwanese performing cellists of today. Advanced tickets sales for this event have ended. All tickets purchased on the day of the event are $28.